The Daytona International Speedway plays host to a number of races throughout the year, but none are like the Rolex 24. This annual race is not just about speed, but also endurance, as drivers must circle the track for 24 hours. The entire event starts Thursday, January 27, 2011, and concludes Sunday, January 30, 2011, as the drivers cross that finish line after a full day of being on that track. In between, there are fan activities, cook-offs, the Daytona 5K Daytona Run and Fun Walk, live bands and more. There’s even a carnival midway and a driver autograph session (Saturday morning). Individual tickets for the race itself (Saturday, January 29) range from $35 to $85. Multi-day packages are available starting at $59. SPEED Network will air the first 7 hours of the race, beginning at 3pm on Saturday, and the last 7 hours of the race, beginning at 9am on Sunday. 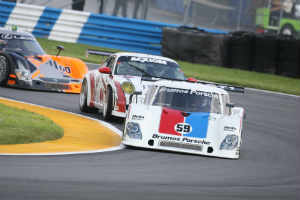 Visit the official site for the 49th Annual Rolex 24 for more information on activities and tickets.